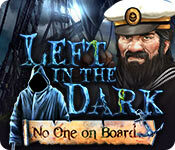 Left in the Dark: No One on Board is rated 3.6 out of 5 by 55. 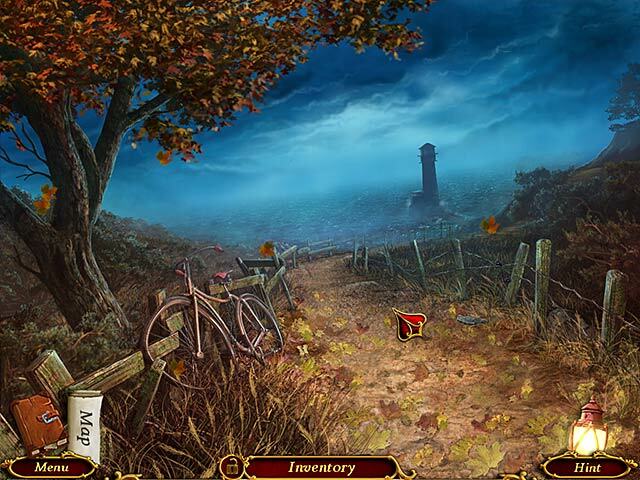 Rated 5 out of 5 by charlene_lane from LOVED IT This game is awesome. There is: * Voiceovers (with dialogue); * Casual, Advanced and Expert modes of play; * Interactive map; and * Notebook Now, I know that the graphics are not that great. However, its easy to see everywhere and items you need are clear to find. Its just that everywhere is kind of grainy and a bit dark. But don't let that put you off because its such a great game. Sound is good and the music is orchestral and piano. There is a lot of screeching and animal sounds throughout the game which made it eerie and kind of spooky. This fitted well with the game. 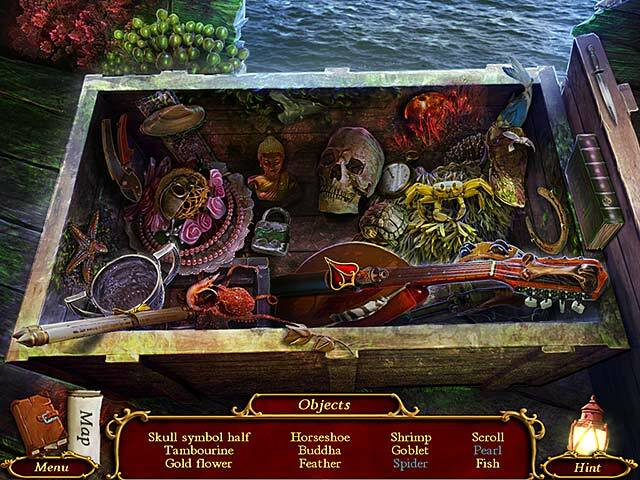 The hidden object games are straightforward and are quite cluttered and some items are hard to find. Some I just breezed through and others I spent ages on. You will do each of the HOPs twice. I loved the mini-games. Yes, we've seen them all before but it was fun doing them again. None of them are hard to do and you can get back on to the game again fairly quickly. All up the game took me about 4 hours, not skipping or hinting anything. Overall, this really is a fun game to play. There is a sense of urgency to help Isabella and to find out who the murderer is. There is plenty to do and you will never get bored. Well done to the developers. Definitely comes recommended. Happy playing fishies. Rated 5 out of 5 by Dainy from Lots of doable games I enjoyed this game and felt like it had good and varied games without my having to use the hint button. Rated 5 out of 5 by Meanlean from What a great game this game held my attention from beginning to the end Ho was great not too hard, I would like to play seminal game thumbs up great game get this game wish it was in collector game soon. Rated 5 out of 5 by Snowview from Love the art, story and gameplay Based on completed game. I'm a sucker for maritime tales and am often disappointed but not by this one. I absolutely loved the rougher hand-drawn art. Very in keeping with the theme and not over-pretty. I got involved in the story right away and it was truly spooky. I never got lost--the scenes were different from one another and you played between a limited number of them at a time. The hint button and all mechanics worked perfectly. I even enjoyed the shorter length as it made a nice tight package and wrapped up the story well rather than drawing things out finding more and more tools just to add to the length. I found the voices pleasant. The fact that I could return to a HOS and found the items I had found before were gone was wonderful. All in all an exceptionally fun game experience. Rated 5 out of 5 by skullfun from Loved No One on Board....didn't get bored! Very spooky adventure with several surprises. The graphics, the big cursor, and stories makes me love Artifex. Kudos to developers. Solve murder with plenty of HOS/ Puzzles and V/O's are great. The murderer also looks like the killer in I Know what you did last summer (horror flick). The ending was shocking. I had no problem complying with the murder's wishes.....PUSH! 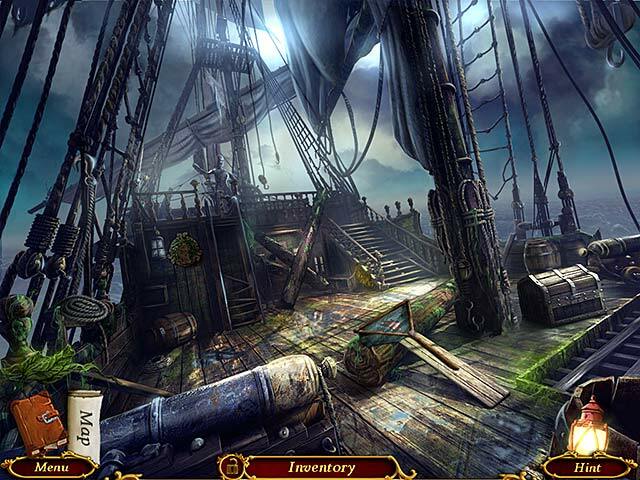 Rated 5 out of 5 by denniann2 from a very good game you're "madame detective " and have been sent to an island where people disappeared and the ships are found abandoned and captains and crews are nowhere to be found. a little girl's spirit comes to you and helps you some throughout the game. you find the ID of the detective that was sent before and was never heard from again. played casual, no sound. hint/skip charge in about 30-45 seconds. didn't time it. the mini games could be hard if you are like me. i had to skip quite a few. the graphics are good but some scenes take a little time to find the objects because of the number in the scene (crowded) but sometimes they are well hidden and blend in. diary and interactive map. sequel...i think so. Rated 5 out of 5 by rugspot from So worth a free game!!!! I played the free trial. At that time not sure. Took a chance anyway. So glad I did lots, of HO's I love that. I am very hard, on game reviews. I wait for games, beyond 5 stars. Please Big Fish don't waste our time on, stupid games. For our membership they should be amazing.